At Tacit Intellect we follow a carefully structured recruitment and selection process, which starts right from understanding our clients needs and culture all the way to follow-ups with both clients and candidates post the recruitment proces. Selection of the right candidate forms the crux of our recruitment process. 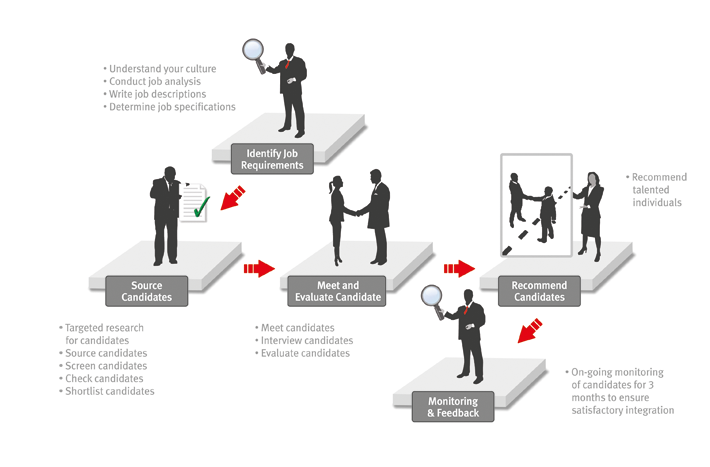 With our structured search processes we aggregate a talent pool of prospective candidate’s based on our clients specific needs.